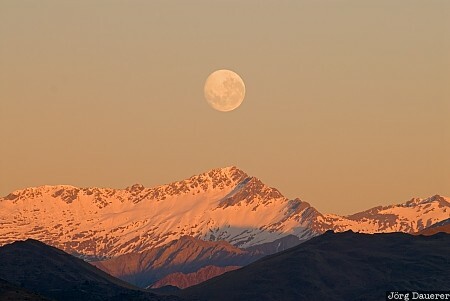 The moon is setting above Alpenglow on the peaks of the Southern Alps seen from The Remarkables, Otago, on the south island of New Zealand. This photo was taken in the morning of a sunny day in November of 2008. This photo was taken with a digital camera.